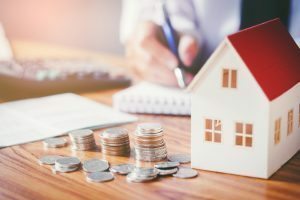 The housing market might experience a downturn, but it won't affect homeownership as much as the last housing crisis did, according to a study titled Where are We Now with Housing: A Report, by the Florida Atlantic University College of Business . "Understanding where housing stands today relative to the last cycle’s peak creates more informed real estate consumers and perhaps a less bumpy ride this time around as the nation enters another housing cycle peak," said Ken Johnson, the author of the study and co-author of the Beracha, Hardin & Johnson Buy vs. Rent Index  (BH&J). To compare home prices and their impact on demand, the study investigated scores of the CoreLogic Case-Shiller Home Price Index  and the BH&J. It found that housing prices were at 7.3 percent above their long-term pricing trend compared to 31 percent at the peak of the last housing cycle.